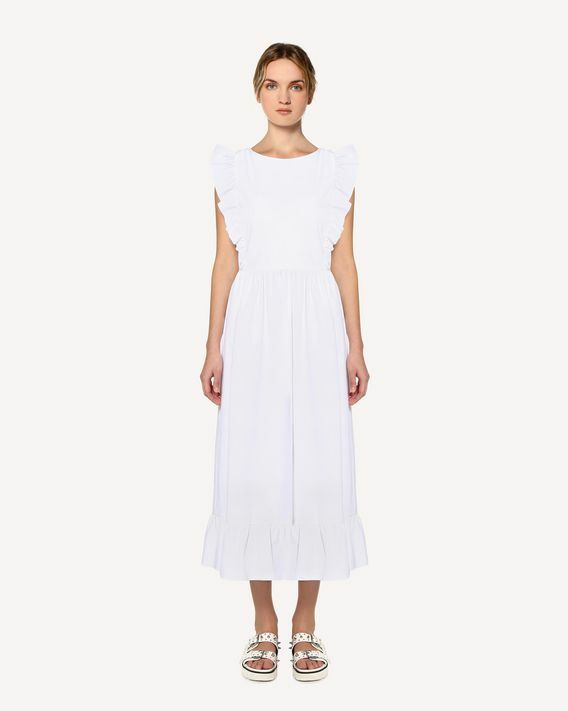 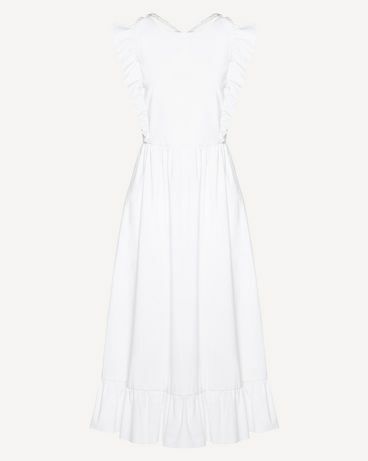 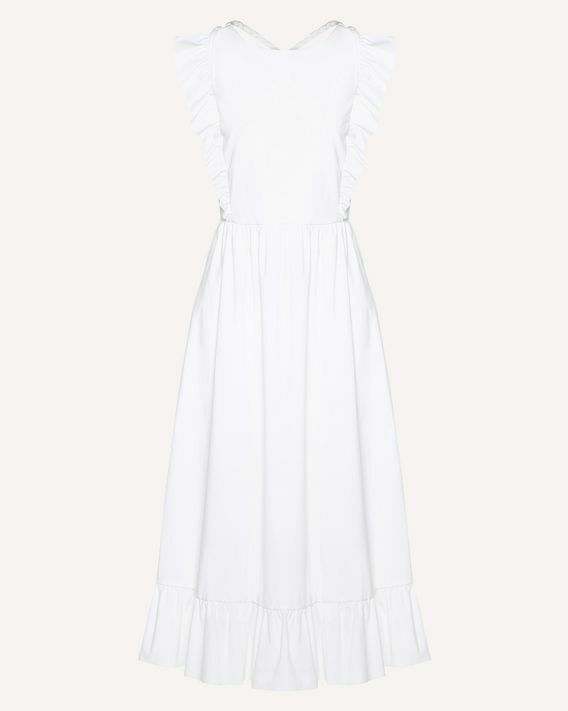 Stretch compact poplin long dress, with a gathered flounce. 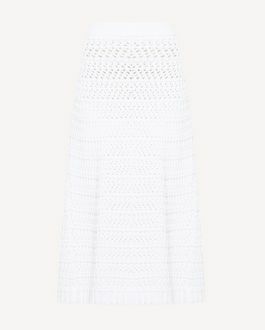 The open back is enriched with a hand braided criss-cross detail. 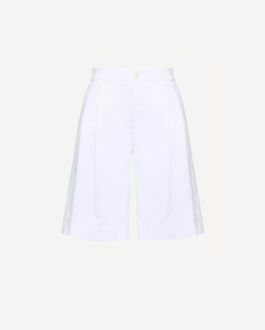 - Length in Italian size 40: 125 cm/ 49"